Welcome to FrankWealth.com: Why President Buhari Must Order CBN to Increase Intl Spending Limits On Naira Debit/Credit Cards! Why President Buhari Must Order CBN to Increase Intl Spending Limits On Naira Debit/Credit Cards! Good morning fellow Nigerians, good morning frankwealth fans and followers. I wish you all a happy prosperous New Year. It is new year, new hope, new goals and renewed dreams. If you noticed, I have been silent for a while, it's because I became more occupied with many things bordering around making money online and offline and I must confess to you guys that 2016 was a great year for me and the entire Frankwealth team. Our fan facebook fan page grew steadily without any advert in 2016, we also empowered many Nigerian and foreign youths who sincerely wanted to learn how to make legitimate money online, and by the grace of God, we helped to empower many youths through adequate information on how and what to do to start earning money online from home. 1. Do you know that more than 50,000 Nigerians are ‎gainfully employed by working on the internet? 2. Do you know that more than 5 million Americans are self employed through the internet? Compare the two figures above and you will see why there is minimal unemployment rate in United States of America. 3. Also, do you know that by the year 2050, around 40% of America's population will become self-employed by working on the internet and mostly from their homes? This shows how promising the future of America is. Now imagine a situation whereby 20 - 30% of Nigerians are able to gainfully employ themselves by working online, that means unemployment will become a thing of the past in Nigeria, and more Nigerians will become employers and this will in turn grow Nigeria's middle class population, hence a tremendous increase in Nigeria's GDP, and reduction in crime rate, especially those caused by mass unemployment and joblessness of Nigerian youths. But how can this happen when Nigeria's incumbent government‎ keeps rolling out wrong policies that doesn't support Nigerians working hard to bring in legitimate FOREX by working on international online money making platforms‎? CBN rolled out a policy last year which reduced the amount of $ Nigerians can spend with their Naira debit/credit cards to just $100 a month, which affected so many hardworking Nigerians working 24/7 online to earn a legitimate income to support their family and loved ones. As if that was not enough, CBN and Nigerian banks rolled out the harshest FOREX policy stopping Nigerians from using their Naira debit/credit cards to make any form of payment online or on international platforms. What Nigeria's incumbent government and the current management of Central Bank of Nigeria (CBN) don't understand about 21st century economics is that no nation grows economically by practicing protectionism and by using government power to control/determine FOREX market. It's so unfortunate that majority of the people making these unfruitful policies are old and not in touch with modern economics, 21st century money making methods and how internet has created so many jobs globally. It seems they are more concerned about stopping their po‎litical opponents from moving money out of the country than seeing more Nigerians become fully employed online. But one thing Buhari led Nigerian government and the CBN doesn't understand is that what made many Nigerians to remain silent without thinking‎ of holding nationwide anti-government protests is because so many Nigerians are gainfully employed online, which makes them to be earning their living by working on international jobs and opportunities that's also helping to boost Nigeria's FOREX. How can CBN instruct Nigerian banks to limit all Naira debit/credit cards from making $ payments, how? 1. ‎ Thousands of Nigerians are gainfully employed as bloggers (not just the celebrity gossip/political bloggers, but real tech bloggers, how to do things bloggers, etc)? And these bloggers earn their money by sharing their different ideas, skills and knowledge on their blogs (websites) which of course requires buying of domain name, hosting plan and advert, and these purchases are usually done in $ and can only be paid for using Naira debit/credit card. (a.) By placing Google Adsense adverts on their websites or blogs, and they get paid per ad clicks or views per impression. Nigerian bloggers and website owners‎ get paid every month by Google Adsense once they earn up to $100 or more in a month. Google now pay Nigerian bloggers directly through their domiciliary ($) accounts, and they can then withdraw their money in $ from their Nigerian banks. And I want to inform you guys that there are hundreds if not thousands of Nigerian bloggers and website owners who earn more than $1000 every month through Google Adsense alone, is this not enough FOREX input to convince the CBN‎ to lift the limit on Naira debit/credit cards on making $ bills? (b.) By placing international affiliate ‎links and banners on their blogs/websites. They also get paid monthly once they earn up to the minimum payout which is usually $50 and above. 2. Hundreds if not thousands of Nigerians are gainfully employed‎ as drop-shipping agents. Just in case you don't know what drop-shipping is all about, you can send me a mail or go to our website (sic) to read more about it and how you can benefit from it; it's a very thriving business if you learn how to do it properly and dedicate your time to it. Now as a Nigerian drop-shipper, you need to make payment for your new orders in order for you to deliver to your buyer that ordered for your product(s), and all these are international transactions done on foreign websites and platforms, so how do you make these payments as a Nigerian living in Nigeria if not through your Naira debit/credit card which will be debited according to the exchange rate? I tell you, many Nigerian drop-shippers have gone out of business ever since CBN/Banks introduced this harsh policy with very negative effect on the ordinary Nigerian citizens working hard to earn legitimate income online, and this is why President Buhari and his VP Prof. Osinbajo must order CBN to reverse that unfruitful policy within the shortest possible time-frame to avoid more Nigerian youths going out of job and heading into crime. 3. What about Nigerian mini importation entrepreneurs? 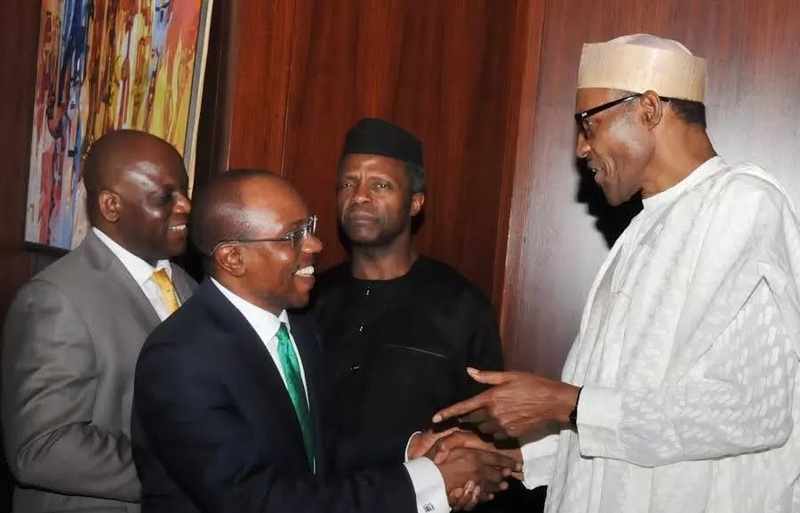 Mini importation has employed over 50,000 Nigerians since 2013, but the number is reducing daily ever since CBN under President Buhari began rolling out harsh FOREX policies that saw Nigeria's currency fall yakata and instead of helping the youth entrepreneurs working tirelessly to earn a living online through mini importation, CBN instructed all banks to limit foreign transactions on Naira debit/credit cards, which now makes it difficult for most Nigerian mini importation entrepreneurs to import things to sell, hence, many are going out of business and heading towards the rapidly increasing unemployed population. If you wish to learn how to start mini importation business, then send me a mail or click here. This is a wake up call to President Muhammadu Buhari, his economy advisers and the CBN to see positive reasons why they need to reverse the policy that limits Naira debit/credit cards from making international payments and transactions. What they should do is to limit it to say $200 per month and not block it entirely because it's forcing many ordinary Nigerians out of job and pushing them towards becoming jobless in this economy recession period. Thanks in anticipation of your positive response soonest. God bless Nigeria, and may God bless Nigerians!